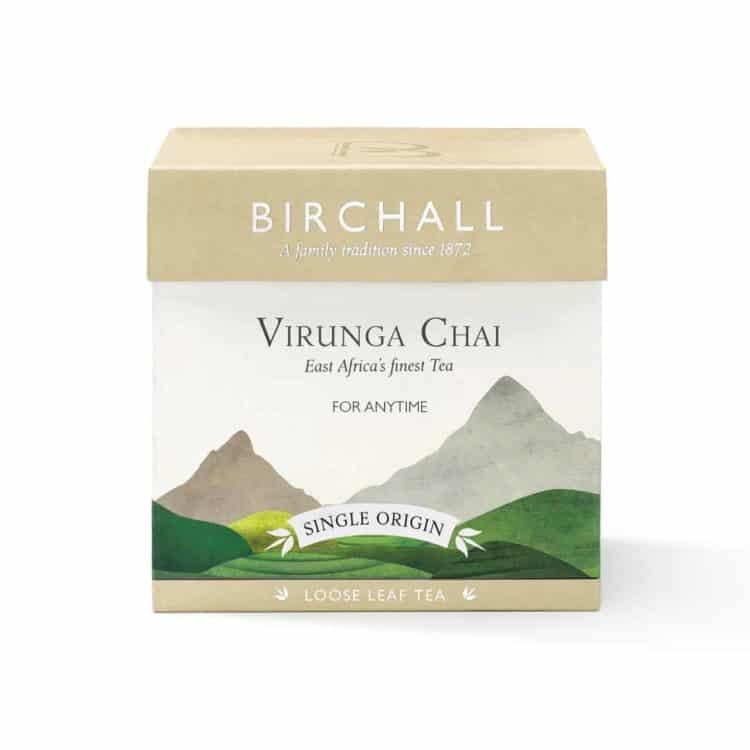 Our Virunga Chai is a powerful interpretation of a classic Indian tea, carefully crafted by the fifth generation of Birchall Graham’s family. Virunga Chai infuses the brightness and vitality of a supreme African black tea, grown close to Virunga National Park, with an eclectic blend of herbs and spices. Our pursuit of quality ensures we have expertly matched our exceptional broken black tea with the subtle sweet spices of cinnamon and cardamom and the warming flavours of ginger and red rooibos from South Africa. The unique result is a vibrant and uplifting blend that will soothe and satisfy throughout the day.